Health care was the number one issue for a majority of voters in the 2018 midterm elections. With the House majority changing hands and a split Congress, in this webinar we discuss election implications on health care and what to expect in the new Congress. We also provide an overview of how you can connect with new and returning Members of Congress to help them better understand priorities for cancer patients. 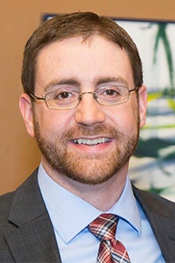 Our guest speaker Zach Marshall, former legislative director for Rep. John Yarmuth (KY-3), recaps the midterm elections and what to expect in 2019. 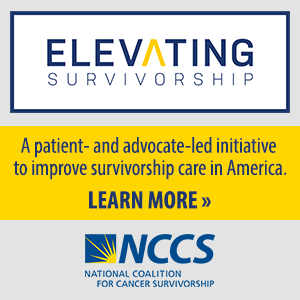 NCCS will continue the conversation in a Part II webinar at the end of January that will provide specifics on engaging with your Members of Congress, particularly new Members. We will have a Member of Congress as our guest speaker to give insights into how to connect with Members and effectively advocate for cancer survivors. Be on the lookout for the Part II webinar registration—you won’t want to miss it! Zack Marshall is the former Legislative Director for Congressman John Yarmuth, a position he held for more than four years. In that role, he managed the Congressman’s legislative portfolio and focused on health and budget policy. Prior to his work with Rep. Yarmuth, Zack spent six years in the office of Congressman Jim Cooper, serving as a Senior Legislative Assistant. A native of Indiana, Zack moved to DC to work on Capitol Hill after working for President Barack Obama’s 2008 Presidential Campaign.